Alistair is best known for his unprecedented impersonations, especially on the BBC show 'Alistair McGowan's Big Impression'. Alistair McGowan is probably most famous for his TV show 'Alistair McGowan's Big Impression' which aired on the BBC between 2000 and 2004. However, there are more strings to an already well-strung bow! After leaving The Guildhall School of music and Drama in 1989, Alistair began working as a stand-up comic, playing every club from Balham Banana to The Comedy Store. He soon became known for his excellent impressions and began working on Radio Four’s 'Weekending' and then from 1992 - 1996 on Spitting Image, where he provided voices for Tony Blair, John Major, Chris Eubank, Prince Charles and Hugh Grant, among many others. 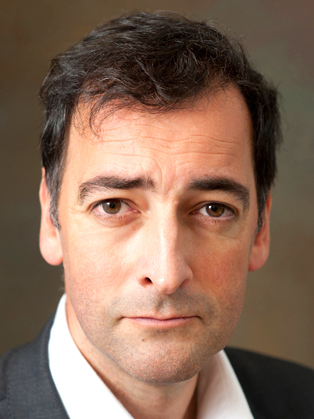 Alistair McGowan has been hailed by The Times as a 'voice virtuoso.' His repertoire includes a gallery of politicians, pop stars and sportsmen - like a romp through the news, gossip columns and back page headlines. After appearing at Edinburgh with his original comedy partner Harry Hill, Alistair cut his impressionist's teeth on Spitting Image - bringing Tony Blair, Chris Eubank and Prince Charles to life. He also provided the voice of Gary Lineker in a West End play, before playing David Beckham to Ronnie Ancona's Victoria. Alongside comedy Alistair has also amassed a string of 'serious' acting credits. He played the lead (and script-edited) the detective drama Mayo, starred in the award winning BBC adaptation of Bleak House and more recently joined the cast of Skins. Onstage he's appeared opposite Judi Dench in the RSC's Merry Wives of Windsor, and with Connie Fisher in They're Playing Our Song. He also took the lead role as 'Emcee' in the West End revival of Cabaret and starred as the Mikado in the Gilbert and Sullivan operetta. Offstage Alistair has campaigned against the proposed new runway at Heathrow, and co-written a book with Ms Ancona: A Matter of Life and Death. It's part autobiography and part comedy self help guide, recounting his struggle to overcome a disturbing addiction to football.